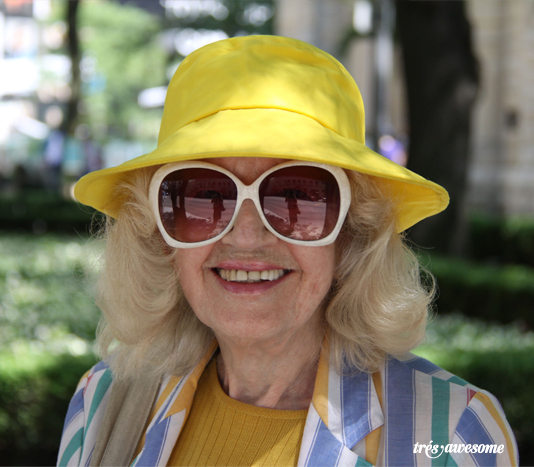 How adorable is Maria in her bright yellow hat and over-sized white sunglasses. Her personality was just as sunny as her outfit which you get a sense of from this photo. Maria is another example of how personal style gets better with age. See more doyens of fashion over at Advanced Style, Ari Seth Cohen's excellent street style blog that focuses on the older set. Update: Unbelievably Maria was captured not once but twice yesterday by street style photographers. 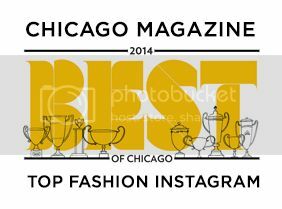 Take a look at Isa Giallorenzo's of Chicago Looks beautiful photos of Maria's whole outfit. I have deduced that Isa was the first one to spot Maria, I think it's SO FUNNY that she didn't mention she had just gotten her picture taken by another fashion blogger. So Coy Ms. Maria. Well played. so cute! love those women who stay stylish no matter what their age!